Spain’s caretaker Prime Minister Mariano Rajoy yesterday (30 August) urged lawmakers to back him for a second term, arguing ahead of a confidence vote which he appears set to lose that the country “urgently” needs a government. If there is no breakthrough two months after today’s parliamentary ballot, vote-weary Spaniards will be asked to return to the polls on 25 December due to the timings set out in Spanish election law. Last July Spain benefited from clemency from the Commission, having breached the Stability and Growth Pact, but this attitude may change should the country sink into political chaos. 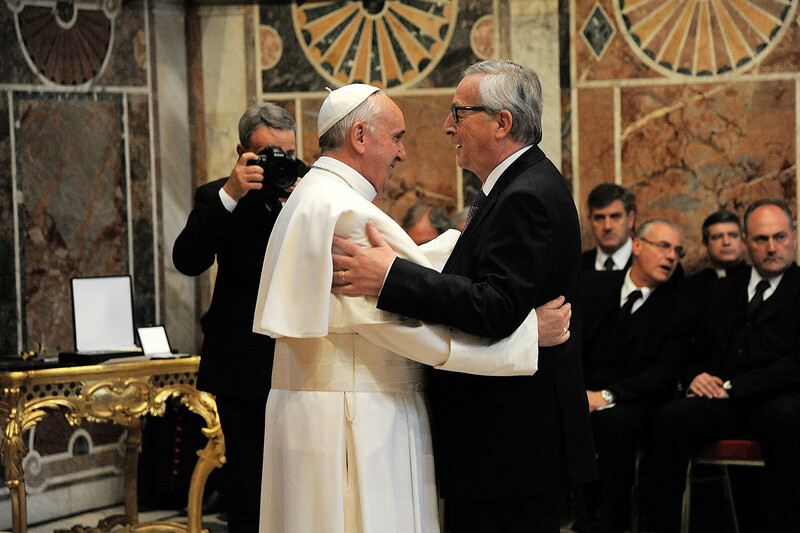 A strong group of commissioners was in favour on Wednesday (27 July) of imposing at least a symbolic fine on Spain and Portugal for breaching the Stability and Growth Pact, but Jean-Claude Juncker opted for a zero penalty – supported by German Finance Minister Wolfgang Schauble. Spain is the fourth largest economy in the eurozone, behind Germany, France and Italy, accounting for 7% of the EU GDP, UK included. Spain has over 4 million unemployed at present, and youth unemployment stands at 50% – the second worse in the eurozone after Greece. A protracted economic crisis in Spain is a much bigger threat for the eurozone than the risk of Grexit. 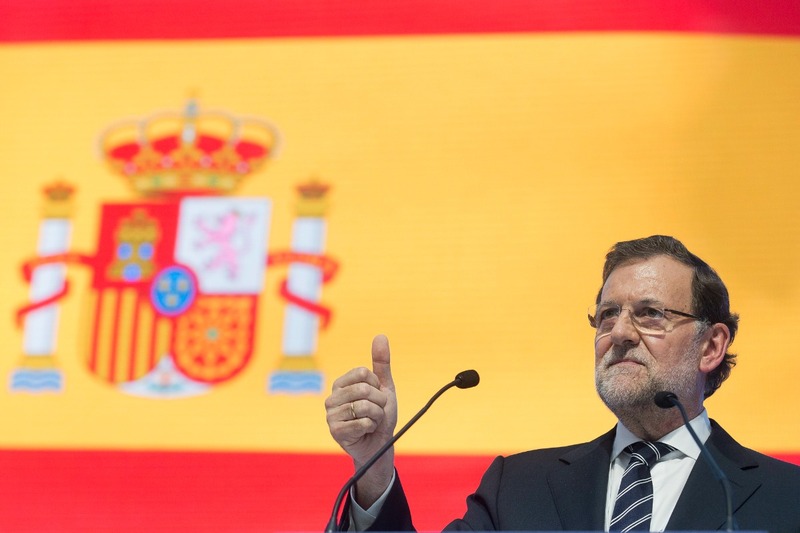 Rajoy, whose conservative Popular Party (PP) has ruled since 2011, warned Spain’s economic recovery could be jeopardised if it once again fails to form a government after two inconclusive elections in December and June. “Spain needs an effective government, and it needs it urgently,” he told lawmakers as he opened a two-day parliamentary debate before a vote of confidence on his proposed second term. “My proposal is the only real possibility for Spain to have a moderate government, that is not an adventure in radicalism, inefficiency and uncertainty,” he said, referring to the option of the Socialists forming a government with new radical-left party Podemos. The corruption-tainted PP won both elections but failed to reach an absolute majority. 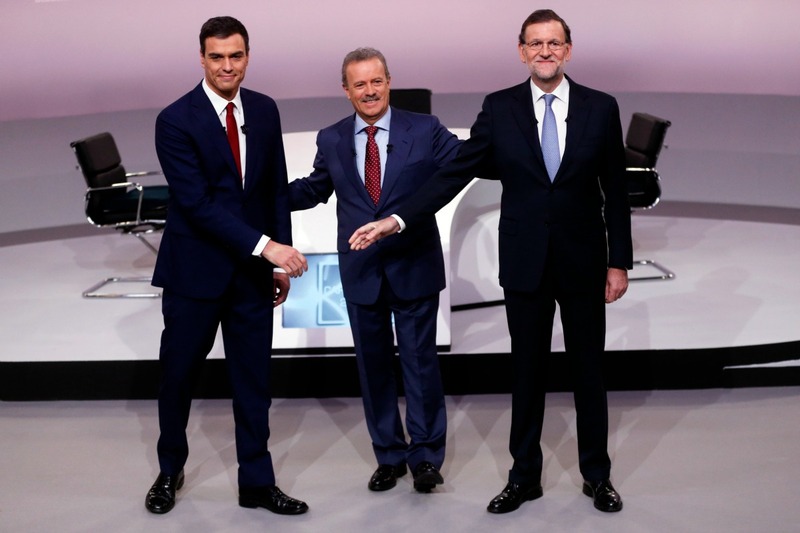 A debate before Sunday’s Spanish general election (20 December) exploded into an angry row yesterday (14 December), when the opposition leader accused Prime Minister Mariano Rajoy of not being a “decent” man. To secure a new term, Rajoy needs the support of an absolute majority of 176 lawmakers in the 350-seat assembly in today’s planned confidence vote. His Popular Party clinched a deal with Ciudadanos, an upstart market-friendly party, as well as with a lone nationalist lawmaker from the Canary Islands, giving him 170 votes – six votes short. 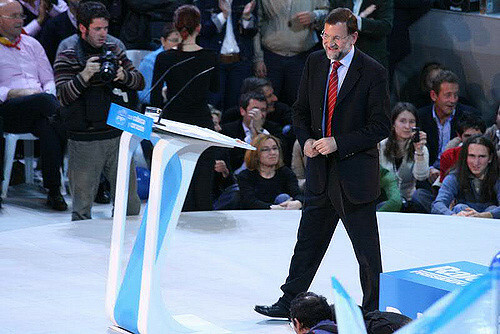 Rajoy therefore needs the support of the Socialists, his traditional rivals, who finished second in the last election with 85 seats. So far they have refused to help him. If he fails to garner the needed votes, Rajoy will face a second confidence vote on Friday in which he only needs to secure more votes in favour of his government than against, meaning he could only prevail if the Socialists abstained. The Socialists have been adamant in their opposition to Rajoy, who they blame for corruption scandals tainting the PP and for the steep public spending cuts imposted by his government. The head of the Madrid branch of Spain’s ruling People’s Party said yesterday (14 February) she had resigned after police investigated members of her office for alleged illegal financing. Socialist parliamentary spokesman Antonio Hernando said Rajoy had provided no reason to back him during his address to parliament. “We have heard the speech of a tired candidate, with an exhausted political project,” he said. Spain’s best-selling newspaper El País said in an editorial on Monday that the Socialists, who it has traditionally supported, should abandon their “absurd obstinacy” in opposing the PP, blaming it on their “weakness and lack of perspective”. “The agreement signed yesterday by the PP and Ciudadanos should be sufficient to form a government, since that is its objective and that is what Spain needs now,” it said. In 2013, Spain received three extra years to cut its deficit below the mandatory 3% of GDP of the pact. Despite the fact that this was the third time Madrid had been granted leeway since 2009, the deficit reached 5.1% of GDP in 2015, higher than previously announced. The European Commission's latest forecast predicts that the Spanish deficit will be 3.9% of GDP this year and 3.1% in 2017. In April, the executive and the ECB concluded that the needed progress on fiscal consolidation in Spain "has come to a halt, with part of the structural adjustment implemented in earlier years being reversed". Following the elections on 4 October, a three-party coalition led by the Socialist Party came to power in Portugal. The new government failed to submit its draft budget for 2016 by 15 October, as the EU’s fiscal rules said, and sent the draft proposal only on 22 January 2016. After assessing the first draft, the Commission concluded that the budget was “in clear breach of the Stability and Growth Pact”, and requested more measures. “Spain needs an effective government, and it needs it urgently,” – country is not doing well – but seems to be doing it without Rajoy or indeed any gov. Corruption runs deep in Rajoy’s party – time for a change.